The Endura FS260-Pro SL Classics Jersey keeps wind and rain off while being supremely breathable and offering a modicum of insulation. While it isn't tape-sealed, so can't officially be labelled waterproof, I didn't detect any water ingress over the test period. Does this mean you don't need a shell as well, should the heavens open? In my experience, correct. But you do want a baselayer underneath if it's below 10°C. At first glance it looks like a long-sleeved top, but what you get in the bag is a short-sleeved jersey plus arm warmers in the same fabric. This is no afterthought or compromise – the system works perfectly. The seal between warmer and jersey is borderline hermetic – you can't spot the join unless very close up, and certainly no wind or rain gets through the generous overlap. The arm warmers feel a bit like wearing a rubber balloon on your arms, but not uncomfortably so. They come out slightly rippled – not as tight as, say, Castelli's Nanoflex arm warmers, but in no way a detraction from performance. Things stay firmly in place thanks to the silicone grip strips on both the warmers and sleeves. They roll or fold up very small too, being not as thick as Nanoflex, nor notably insulating – rather, they're wind/water blocking. The jersey's zip is easily worked one-handed with double gloves on, and the storm flap behind it did its job, making sure no wind was felt. Three generously deep pockets all have laser-cut drain holes, but there's no zipped valuables pocket – maybe Endura figures you'll use a properly waterproof pouch for such things as a phone or remote-fob car keys. My phone was dripping with condensation in the pocket, so you definitely want to use a waterproof phone case even in dry weather to prevent moisture vapour damage. Under the pockets there's a hidden drop tail secured by four pop-fasteners when not in use, with reflective trim to match that on the pockets. The length is such that it actually hung below the rear of my saddle to the extent that I could feel it pull slightly when standing to climb or sprint, though it never snagged. When not in use it's invisible, storing up out of the way of the full silicone gripper strip around the hem. The collar is reasonably stiff, contoured to offer maximum protection and a little bit of space for natural ventilation through body movement. Aiding ventilation and comfort are small Roubaix-fabric patches under the armpits. Out for 90 minutes going hard (87% of max heart rate) in torrential 7-9°C rain (enough to utterly soak my winter boots) with a 150gsm long-sleeved merino baselayer underneath, I never felt cold; one or two fingers didn't warm up, but then I have avowedly useless circulation. The contoured neck worked perfectly – not a drip felt down the back – while the slightly loose collar let a bit of air in/out, so I didn't need to vent at all. The drop tail provided full coverage, and afterwards, what was a filthy top washed out clean. A contrasting long, fast ride in 10-15°C sunshine with a little bit of wind showed this top's versatility. Wearing it over a lightweight long-sleeved merino mesh base, I had to use the zip to vent on climbs but never felt clammy or sweaty. The arm warmers felt cool at first but warmed up. I set several personal bests on 2 to 3-minute climbs without feeling too hot. What's really noticeable is when zipping up for descents – the top is totally windproof. Even at maxed-out 50x11 there was zero flapping, but the fit isn't super-skintight. Much colder, wetter, windier 2-5°C conditions did call for another layer (in this case the matching Endura FS260-Pro SL Shell, review here), but I could probably have gone for a thicker layer underneath instead of a shell over the top and been just as happy. Endura collaborates with the pro team Movistar, who had a hand in the FS260 range development. As such it's a racy, 'athletic fit' garment designed to be ridden hard, not one to hide an excess of pie or pints. If that's your bag, for £130 the FS260-Pro SL Classics jersey should be high on your options list. It's a crackingly good jersey that deserves to become a classic in its own right. It's for slimmer people wanting to go fast in inclement weather, and not have to carry a hard rain jacket but remain warm/dry-ish. If you think the Spring Classics are bad, try Scotland!" The fabric is 10,000mm waterproof and 30,000G/M/day breathable. Excellent, only marked down by lack of taped seams, if that's even possible in a soft fabric jersey. After a few months of washing, still looks like new. Very 'athletic' as Endura says. Not skintight on me, but close. 331g for the versatility is very good. Never felt uncomfortable, even in miserable conditions. £130 is a lot of cash, but you're getting two garments in one that will keep you out there when it's nasty, and you'll enjoy it. Very well indeed. Can't fault it. The cut – it looks fab and fits so well on the bike, front, arms and back. The only things I can think to mark the FS260 down on are the lack of a valuables pocket, audio cable port and zip garage. At £130 it isn't 'cheap', it's a hefty investment, but once you're over that, it's damn near perfect. I guess the acid test is "how does it measure up against a Gabba?" I disagree with this review ... I'd have give it 5*. I have 2 and use them in rain, wind or shine from 0-15 C. Amazing garment!! If it were £30 cheaper it would have been 5-star, no question. The lost half-a-star is only down to price compared with other similar garments - at £130 it's roughly ballpark for this sort of jersey, so therefore the price itself is not exceptional. Performace, fit and feature-wise it's unfaultable. Sweaty armpit design is less appealing. Exactly - it would be a lot easier if reviews of any garment like this at least asked and answered that question at some point! This may be implied in the review (apologies if I missed it) but how does it size? Do I need to go up / down in sizing at all, or do the Endura sizing charts give a reliable fit? Otherwise, absolutly sold on this. I have a FS260 Jetstream jersey and at 5'11 slim athletic (not skinny) build I wear M and it's got a proper performance fit without being too tight/aero. Spot on. To clarify: I'm 6' / 73kg, 33" waist, 37" chest/hip with long arms. It fitted perfectly in Medium, . Not skin tight, but that's OK. My measurements put me smack on the cusp of Small/Medium on Endura's size chart BTW. So if you're a few inches bigger the Medium will be fine. This is NOT a Gabba - the Gabba is made from fabric that is windproof, but explicitly not waterproof. Also the Gabba comes in either Long or Short sleeves, warmers are extra. And the drop tail is always down. Other features may vary, I haven't seen the Gabba 2 so can only go off my years wearing a Gabba 1. But given the choice (which I now have) I'd take the Classics over the Gabba every time, for every kind of riding. Comment deleted, posted to wrong article. Well Gabba was claimed to be waterproof for a long time. I do agree with others, I just don´t get why there is no comparision with other similar products. Waterproof jerseys have been tested here, like Stolen goat http://road.cc/content/review/144507-stolen-goat-orkaan-race-tech-jersey - why no word about the fact how it stands head to head? It´s a pitty..
why no word about the fact how it stands head to head? I suspect that road.cc doesn't do comparative reviews so that it can keep all its sponsors happy. It would be so much more useful for the public if they did product "shootouts". That would be nice from a readers perspective but I expect it's less a case of a "conspiracy" to keep sponsors happy and more down to the fact that the reviews are done by different testers. They'd either have to have only one person testing all similar items or someone who had thoroughly tested an item would need to spend a single ride with competitive items and make a call from that. If that was the case we'd likely accuse them of not having spent enough time with the competitive items. I added this to my kit bag recently as an option to fill the gap between the gabba/winter and a standard jersey/summer. So to be precise for the slightly warmer weather when it's wet in the hope of avoiding boil in the bag cyclist resulting from a pack able rain shell. In short, this jersey is spot on for this type of function. Went out tonight at 19 degrees C overcast with chance of rain. Perfect choice. Ultra breathable, wind proof and waterproof. If you add the arm warmers with or without a baselayer you'd be fine down to all but the lowest temperatures. From a fit perspective as with all jerseys, a jersey from one company will suit one body shape, a jersey from another brand may be totally different and fit a different body shape. 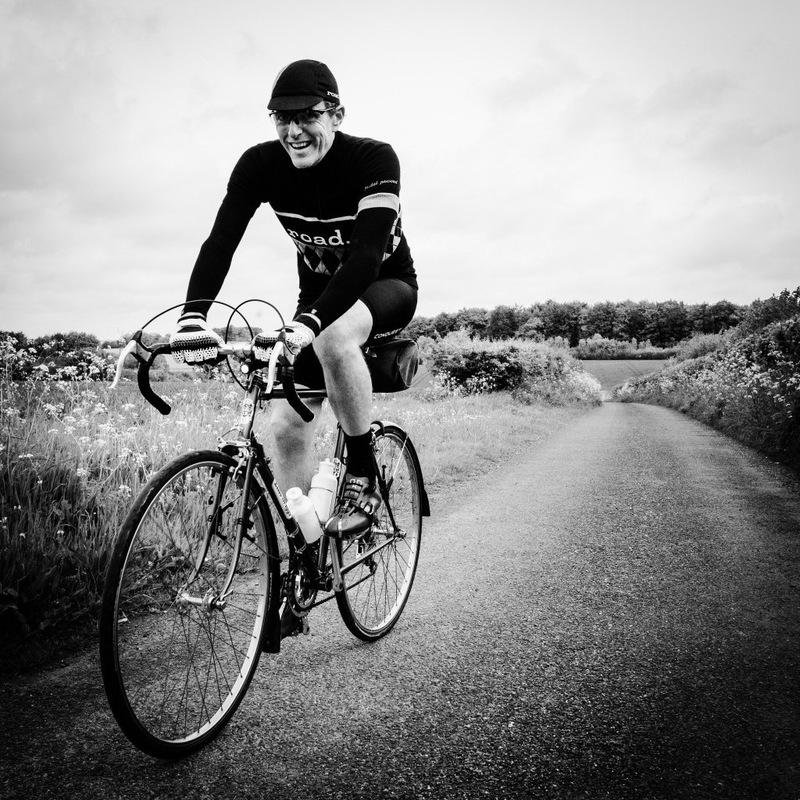 Most of my favourite kit is Rapha but at XXL sizing so you get the picture, larger athletic sprinting shape (I wish!) - but not ultra light echelon vulnerable type. The Endura top as a large fits me perfectly. Snug around the lower end and well fitted across the chest and shoulders. So spot on. I note from one other post elsewhere an extreme criticism on the fit which I think is a bit harsh without specifying whom the fit refers to. So I'd recommend this kit. I love kit that does what it promises to do and kit that gives you the comforting feeling that an extra bit of cash if needed has delivered from the performance perspective. Summary = light, thin, breathable, good up to 20 degrees C, waterproof. Creases, lines and excess fabric all over the place, why on earth would we want to spend good money on that! Endura, you need to do better.. I need some help with underderstanding how the fabric of Endura Pro SL jersey works. I am quite new to cycling and don't really get how all those expensive technologies work and what they are designed for. I went out for a 1h workout at nearly 90% avg. max HR (about 10 degrees temp. outside) with one synthetic baselayer underneath. I felt pleasantly warm and fully protected from the wind and cold during the workout. I never felt the need to vent. I just focused on pushing hard. But when I came back home, to my surprise, the baselayer was all very wet apart from sleeves and the jersey was wet too, esp. the back, shoulders and collar. The collar got actually pretty cold and unpleasant during the cool-down after the workout. Does it work similar to Parentini Mossa which, they say, needs the cyclist to work hard and sweat for the fabric to work? It is OK if you go for hard workouts but it is not practical for communiting or touring when you sometimes need to stop to shop, eat or relax on top of a hill in Snowdonia. Will Endura Pro SL jersey work well for medium intensity rides? It is possible to ride 3-4h and keep dry in it? I would really appreciate some guidance on how to use the jersey. It is OK if you go for hard workouts but it is not practical for communiting or touring when you sometimes need to stop to shop, eat or relax on top of a hill in Snowdonia. Yes it's fine for hard workouts, and yes it's also fine for going slower - although if it's sunny and you're going slowly without a cooling breeze, you may be a bit warm if wearing a baselayer. At Medium intensity for 3-4hrs, you will sweat. In the SL you shouldn't really notice it - don't expect your baselayer to remain totally dry, that's impossible - but the breathability of the SL should keep you comfortable. Thank you for you quick response. I really appreciate it. As far as winter cycling is concerned, I really feel like I am a proper noob. But I want to learn. This jersey is the third most expensive cycling investment I have made since buying a bike and a new set of wheels so I really want the jacket to work. It claims that it will help me cycle "hard and fast no matter what" due to its " excellent levels of breathability". But after extensive testing at temps ranging from 4-14 and with all kinds of base layers ( polyester, merino, polypropylene ) I am beginning to get worried that all I will get from cycling hard and fast in this jersey is a slight fever and runny nose. I noted that the newest version of the Classics jersey is thicker and the breathability rating is reduced from 30000 to 25000. I am guessing that the change might have been made in order to address what I have just described. The jersey might work, however, if you cycle at a steady pace on a flat road with wind not stronger than 10mph, but that seems to go against the claims Endura makes. Parting note: I still hope I am still doing something wrong and I will eventually find out how to make the jersey work for me. But it just gives me a headache when I think about all the variables that might effect the performance of the top: its fit, thickness and fabric of the baseleyer, outside temp, wind, wind resistance, terrain, HR, sweating rate and cold sensitivity, venting... . It is also a shame that such tops are so expensive because it would cost serious money to buy and try them all to see which one really works. I think you need to look at using less baselayers, potentially just a sleeveless vest style base layer, the fabric feeling cold against the skin will go away in 5-10 minutes, being wet will cool you down a lot quicker.